While the LFT-666 was named for its power output – 666bhp – the LFT-C is named after its convertible roof. It features the same underpinnings as the 666, as it’s based on a tuned version of the Jaguar F-Type SVR. The car’s supercharged V8 engine has been fettled to put out an extra 99bhp over the standard SVR, giving it impressive performance – 0-60mph takes around three seconds and top speed is pegged at more than 205mph. The F-Type’s bodyshell is augmented by bespoke carbon fibre body panels. Lister’s also added a new front bumper and splitter, rear diffuser and lip spoiler, and widened rear arches. 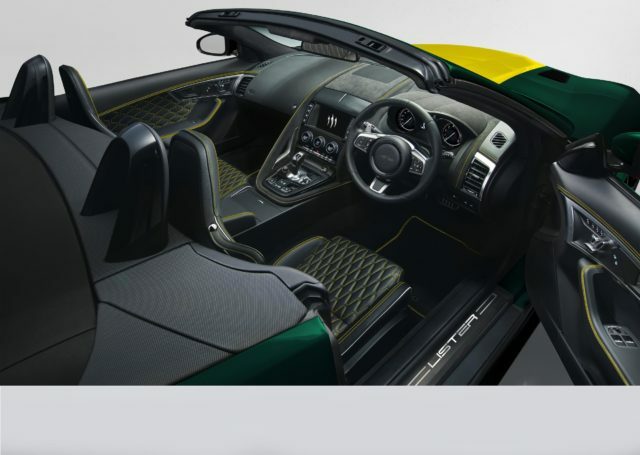 Lightweight alloy wheels and a new grille finish the aesthetic makeover, and while the car pictured is finished in Lister’s preferred green and yellow, customers will be able to opt for just about any bespoke finish they want. The same goes for the interior, which is hand-trimmed in Bridge of Weir leather. 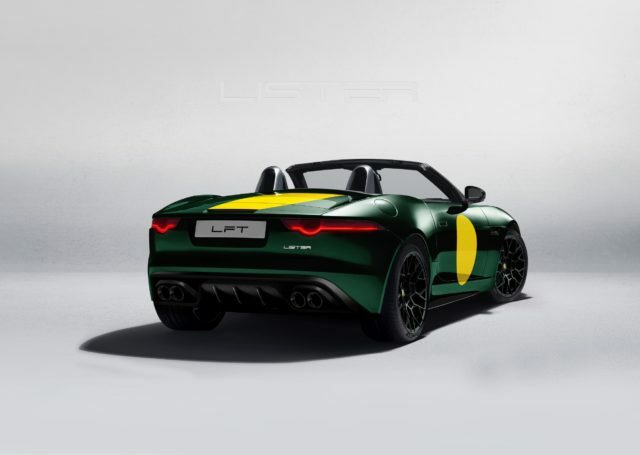 While Lister produced 99 examples of the hard-top LFT-666, just 10 examples of the LFT-C will be made. Customers will know their position in the build queue by a solid silver plaque affixed to the engine. There are practical touches, too – as Lister is owned by Warrantywise, all models will be covered by a 7-year warranty. 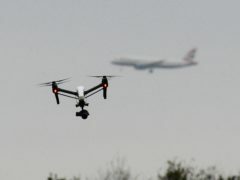 Pricing for the LFT-C begins from £139,000, though with a hoard of bespoke options available customers will be able to push that price tag up significantly.